Providing patients with all the available treatment options for OAB in one location. 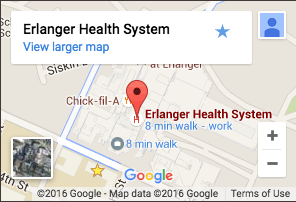 The OAB Clinic at Erlanger Urology specializes in helping patients who have failed prior therapy for OAB or have complications from previous procedures. We have the region’s only urologists with fellowship training and a specialty focus in incontinence, as well as the only urologists with a focus on bladder and pelvic health. Our urologists have years of experience with thousand of OAB patients and currently perform hundreds of incontinence procedures each year. Our physicians and support staff have training and experience in the evaluation and management of incontinence that is unique in our area. We have the only urologists in the region who have completed fellowship training that includes a focus on incontinence, allowing them to provide you the most advanced options for diagnosis and treatment of your condition. 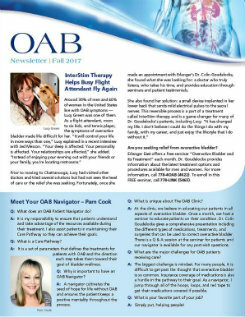 Stay up-to-date on the latest news and information about OAB management and treatment. 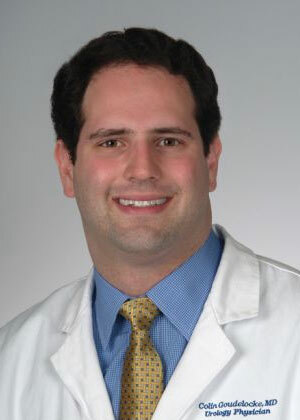 Dr. Goudelocke is a fellowship-trained urologist who specializes in female urology, including pelvic reconstruction, and the treatment of incontinence and voiding issues. He is board-certified in Female Pelvic Medicine Reconstructive Surgery. He practices at UT Erlanger Urology.